DaVincii Obstetrics & Gynecology always appreciates feedback from our valued patients. To date, we’re thrilled to have collected 11 reviews with an average rating of 4.91 out of 5 stars. 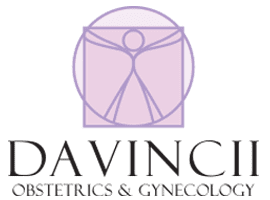 Please read what others are saying about DaVincii Obstetrics & Gynecology below, and as always, we would love to collect your feedback. First, my wait times are always brief for office visits. I truly feel valued, respected, and at home at DaVincii. In particular, Jillian has been an outstanding support for me as I sort through life as a female. She is patient and never seems in a rush to move to her next patient; she listens and answers all questions; she is kind and intelligent; she is truly a gem. I will go to this office as long as I can, and I recommend them to all local female friends I have. Dr. Taylor and staff are always friendly, informative and professional. Very pleasant and welcoming office staff and professional care from initial contact to appointment. I would certainly recommend your Practice to others. Pleasant as can be expected, professional, clean, friendly. I am a fairly new patient to this office and I have been very happy with everyone here! The staff has been able to get me scheduled without too long of a wait. Everyone has been extremely helpful and nice. I highly recommend this office to any lady that is looking for a good ob/gyn! Dr. Taylor is amazing. Very quick, friendly and professional! I love Julian, she is so down to earth and makes you feel so comfortable. We can talk about everything. She is the reason I keep coming back. I am awful with names, but the lady at the front desk, I love her too, she is the sweetest!!! I love the staff at Davinci! The wait is minimal and they always answer my questions and concerns.